Aluminium is called the 'Metal of the Future' for a reason. 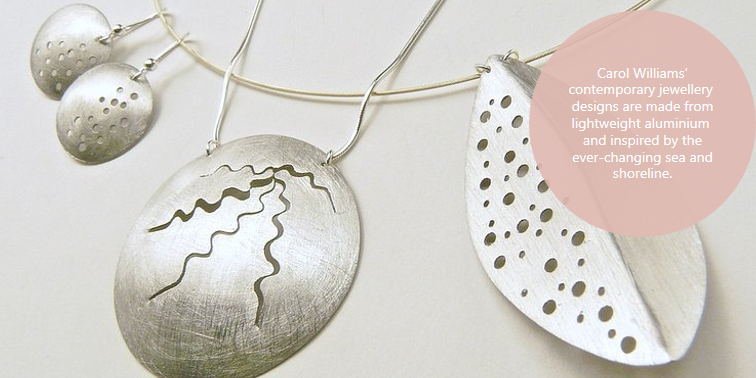 From pins to planes, the metal has thousands of applications benefitting humankind. Its lightweight and non-corrosive property make it the material of choice for cutting-edge automobiles, modern buildings, satellites etc. and is eventually substituting iron and steel today. In this series, we bring to you the journey that our civilisation has travelled using aluminium along the way - a story which must start from the very beginning. Here we go! Did you know that aluminium is the most common metal found in earth’s crust? Almost 8% which, considering the earth’s size, is pretty staggering. However, given the difficulty in extracting aluminium and the subsequent costs associated with it, for decades aluminium was prized above gold. So much so that the first president of 1948 French Second Republic, proudly served his most honoured guests using aluminium plates & cutlery. Whoa! From there to the foil-wrapped sandwich sitting in your lunchbox, aluminium has come a long way. Let us take you through a brief history of – no, not time – aluminium, and on the way we promise more ‘whoa!’ moments. So, go on, get comfortable and geek on! 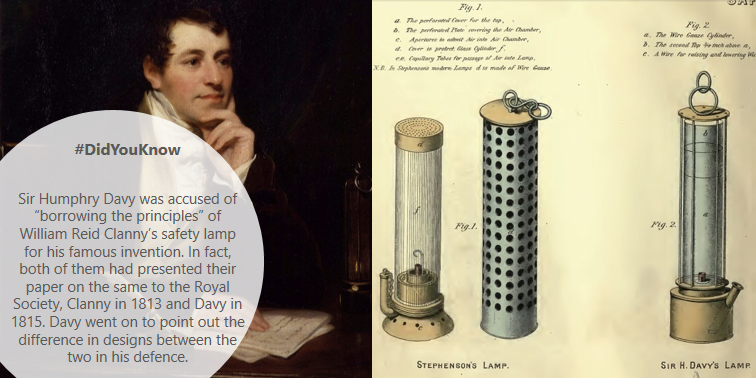 1808: Sir Humphry Davy, the renowned inventor of an early version of the incandescent light bulb and ace scientist coined the name ‘aluminium’ for a metal that he ascertained could be extracted using electrolysis from its oxide. 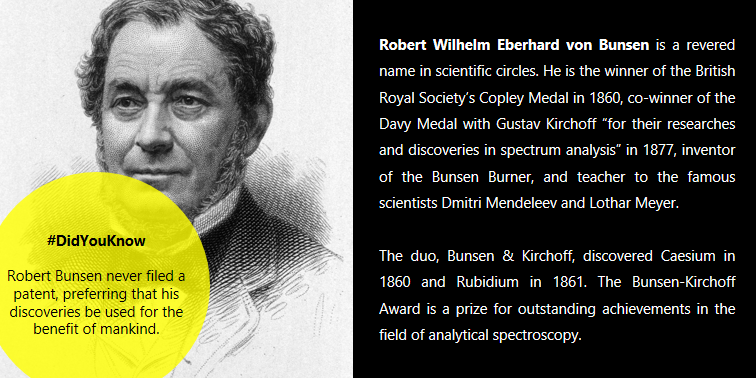 This was the man who had extracted new chemical elements such as Boron, Potassium, Sodium, Barium, Calcium, Potassium and Strontium, using electrolysis. So yeah, as commercial metals go, Aluminium is barely in its teens, compared to its counterparts - iron, copper and lead. Interesting! 1821: The credit for discovering the red rock that would later be used as the ore for extracting alumina (aluminium oxide) goes to the geologist Pierre Berthier. 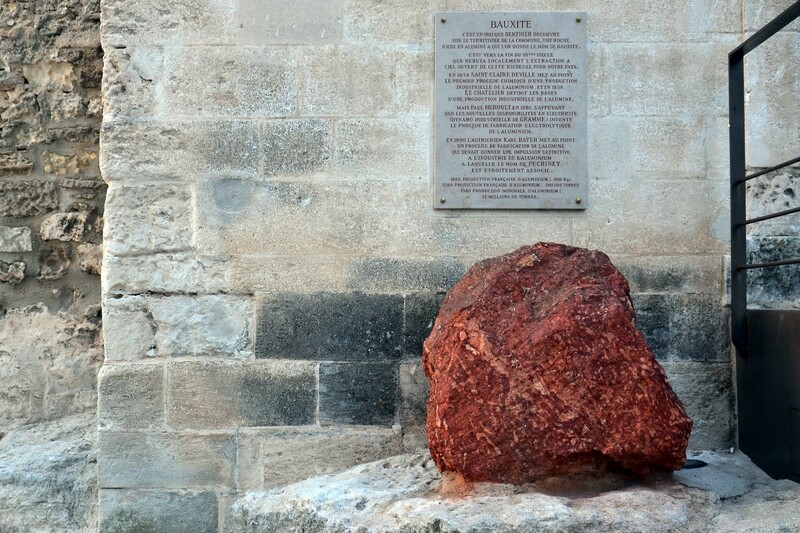 The rock was called ‘Bauxite’ after the region where it was discovered first – Les Baux. 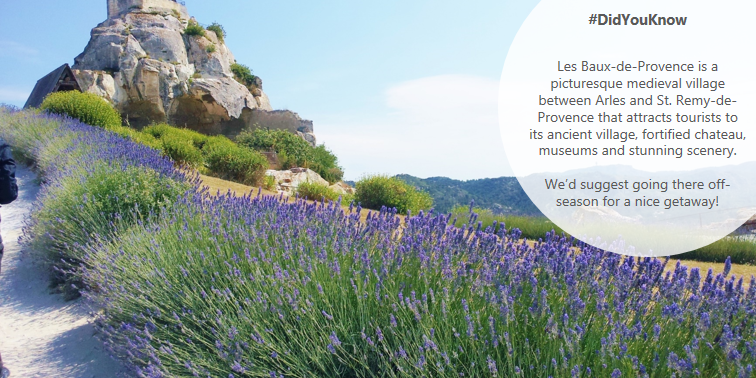 There, another French word for your repertoire. 1825: The Danish physicist Hans Christian Oersted, on 8th April 1825, demonstrated a metal that he had extracted by electrolysis. 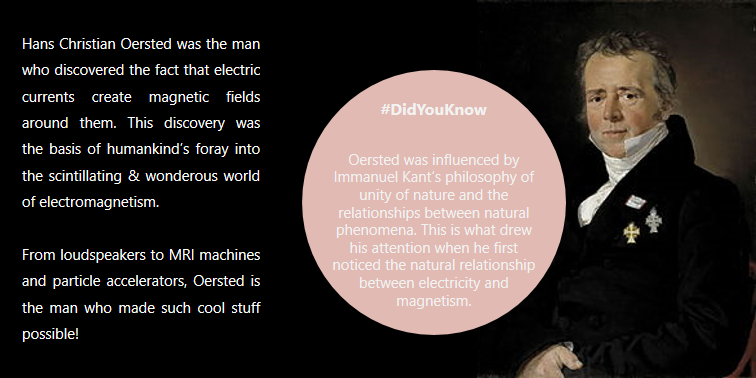 He had, previously, at a session of the Royal Danish Academy of Sciences and Letters, announced of his successful attempts at extracting what he said was aluminium. However, the scientific world is unsure if what he extracted was pure aluminium or an alloy. 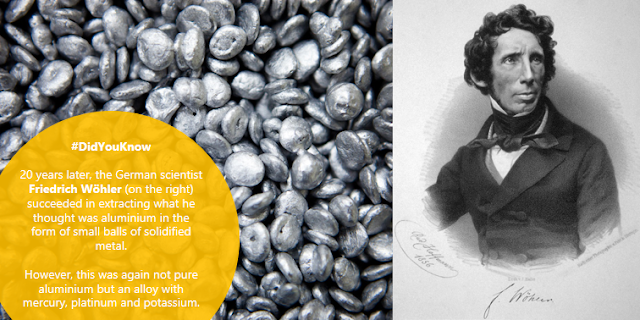 1854: The chemists Sainte-Claire Deville and Robert Wilhelm Bunsen, working simultaneously and independently developed a method for extracting ‘pure’ aluminium by electrolysis. The academia isn’t sure of who should be credited for this, for while Bunsen published reports of his work first, Deville showed specimens of the metal first. Sounds like an Academy worthy movie script, someone dial the Writers Guild, please! 1856: Because it was lightweight, silvery in appearance and expensive to extract, aluminium was considered amongst precious metals in those days. 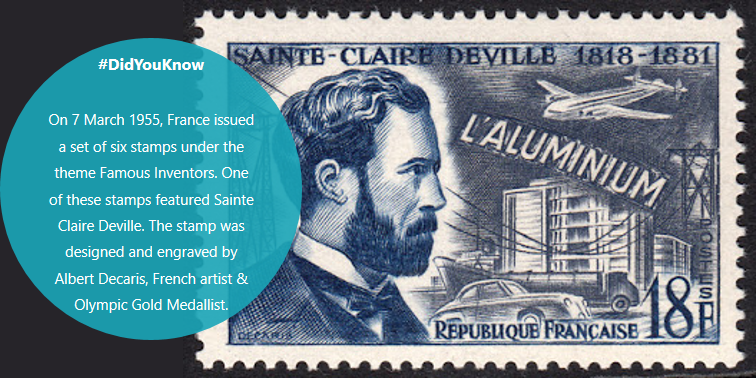 It was used to make jewellery, artefacts, Napoleon III’s medals and a baby-rattle for Prince Louis Napoleon. Wonder if Gollum knew of this shiny “precious” metal. 1858: The Tissier brothers beat Sainte-Claire Deville to a volume on aluminium, which they published in 1858. Poor Deville was forced to hurry up and publish his work, titled 'Aluminium'. Someone give this guy a break! 1865: How much do you remember the books your English teacher forced you to read during summer holidays? 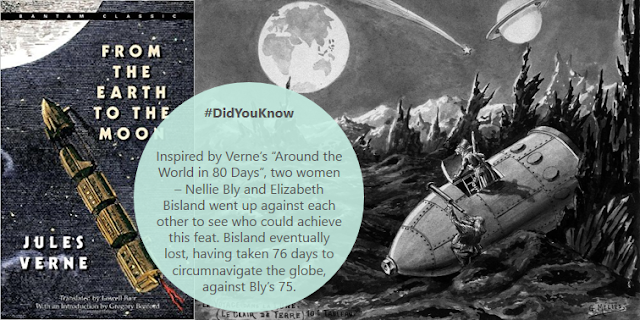 Jules Gabriel Verne, the renowned French novelist credited with stories like ‘Around the World in Eighty Days’, ‘20,000 Leagues Under The Sea’ and ‘Journey to the Centre of the Earth’, wrote of a man setting sail to the moon in an aluminium spaceship. If you haven’t read Verne, we’d urge you to get your hands on one of his volumes. The journey continues as we move beyond 1865 in our next post. This is unlike any Lamborghini automobile ever! An SUV from the company who produces supercars made from the blood of raging bulls? Of course, they are calling it the world’s first Super Sports Utility Vehicle – a fact we can’t deny given the super specs on the automobile and Lamborghini’s signature design. Will this animal from Lamborghini’s bullpen deliver on the brand’s promise? Let’s find out! Rated as an "outstanding fast bowler of his generation", Dennis Keith Lillee was a world class bowler with a fiery temperament and a never-give-up attitude. One of the greats in his own right, Dennis Lillee was the epitome of a great Australian fast bowler who unsettled batsmen with his steaming run-up and raw, searing pace. But in a bizarre incident in December 1979 at Perth, in a test match between Australia and England, Dennis Lillee decided to walk out with an aluminium bat! Much to the surprise of his own teammates, let alone the opposition, he decided to keep playing with the aluminium version as there were no rules against using such a bat during that time. Airbus's latest poster boy is the brand new aluminium-based model A350-1000. Qatar Airways took delivery of the world’s first Airbus A350-1000 just a week ago. Major Asian airlines like China Airlines, Singapore Airlines, Thai Airlines, Philippine Airlines, are among the big names included in the list of 14 airlines that have queued up to operate the advanced aircraft soon. So what’s the big deal about a new plane? Alumina production employs the Bayer’s process which leaves behind a residue known as Red Mud. If the alumina extraction is done through any other process then the residue left behind is known as White Mud or Bellite. Over 95% of the alumina manufactured globally is derived from bauxite by the Bayer process. Over 90% of the alumina produced in the world is used to manufacture aluminium metal. This is termed as metallurgical or smelter grade alumina (SGA). The rest is termed non-metallurgical grade alumina (NMGA). Red mud is composed of a mixture of metallic oxides. The bauxite filtrate primarily consists of iron oxides, silicon oxide, titanium oxide and un-dissolved alumina together with a wide range of other oxides. This depends upon the place of extracted bauxite. The iron oxides, which comprise up to 60% of the mass of the sludge impart the red colour. The mud is highly basic with a pH ranging from 10 to 13.